Week 10: Glamorous Indie Rock and Roll? The city of Chicago has a rich musical history starting with blues and jazz (Louis Armstrong was big with his Hot 5 and Hot 7 bands), through the soul era (home to the influential Motown and Memphis labels), spawning the Chi-Twon style of rap epitomised by Lupe Fiasco and Kanye West. It was also one of the birthplaces of house music – more specifically Chicago house. British DJ and radio presenter has just put together a quick and accessible history of the influence of Chicago on electronic music, addressing the legacy of people like Frankie Knuckles and venues like the Warehouse. It was first broadcast on Saturday July 16th on BBC Radio 4 and can be streamed here. Presenter and DJ Dave Pearce travel to Chicago to hear how a country traditionally resistant to dance music finally got it. The US invented it and then ignored it. Today with electronic dance music estimated to be a $20 billion industry, what do those who started Chicago House in the early 1980s think of this new scene? House music grew out of black gay clubs in Chicago in the early 1980s. We hear from Robert Williams who started the legendary Warehouse club where the scene got its name. He brought in Frankie Knuckles to DJ and Dave Pearce hears how he would create his own edits to keep the crowd dancing all night. In Chicago we track down Rocky Jones, founder of DJ International, who put out some of the very first records. What was his reaction when he found out the few thousand records he put out were driving a cult scene in the UK? With contributions from The Pet Shop Boys, DJ Marshall Jefferson and DJ Pierre we hear how the sound of Chicago topped the charts in the UK. But in America a lot of house music wasn’t played on the radio because it was viewed as gay music. As Hip Hop became the dominant musical form, Chicago House was pushed out to the suburbs. DJ Black Madonna takes us on a tour of one of the few remaining house music clubs. While here in the UK a new generation of house music artists like Disclosure have found an audience and a following. They tour the world playing their own interpretation of Chicago House. A Tonic Media production for BBC Radio 4. 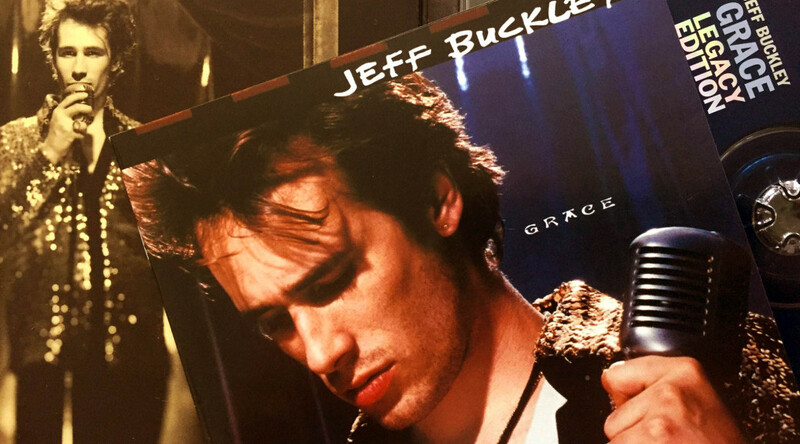 For those that don’t know the music of Jeff Buckley he wrote an elegantly haunting album (Grace, 1994) before coming to an untimely death in mysterious circumstances. The son of famous folk singer, Tim Buckley, Jeff possessed a spectral voice and an enchanting stage presence. His solitary solo album is a glimpse at his talent and what he was capable of – something which has frustrated fans who have poured through his demos looking for insights and hidden gems. Standout tracks include the Leonard Cohen cover of ‘Hallelujah‘ that Buckley made his. This radio documentary charts Buckley’s transition from relatively unknown artist into legend following a visit to London in March of 1994. This was originally aired on July 24th 2014 on BBC Radio 4 [play here] but has recently been rebroadcast by KCRW to coincide with the recent release of an album of previously unreleased covers (You and I). An oral history of a day in the short life of musician Jeff Buckley… A day in London begins with a memorable photo shoot in the morning. In the afternoon, a radio performance stuns the DJ and her audience. Then, that night after two concerts, one planned and one improvised, his legend had begun to be written. It’s a story told by the people who were there, manager Dave Lory, booking agent Emma Banks, photographer Kevin Westenberg and tour manager Steve Abbott. Featuring exclusive interview and music recordings featuring Jeff Buckley. Produced by Alan Hall, a Falling Tree production for BBC Radio Four. 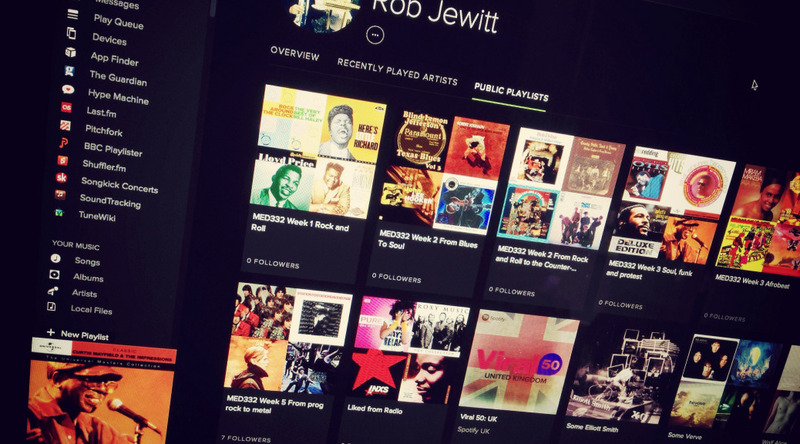 You might like… Where is music tech going next? From the gramophone to the iPhone, music has always had a symbiotic relationship with technology. But with the proliferation of streaming services and the collapse of sales, the digital era has increasingly disenfranchised those making the music itself. Now with the rise of musician-developed apps and software, artists can take back the reins creatively but what about economically? 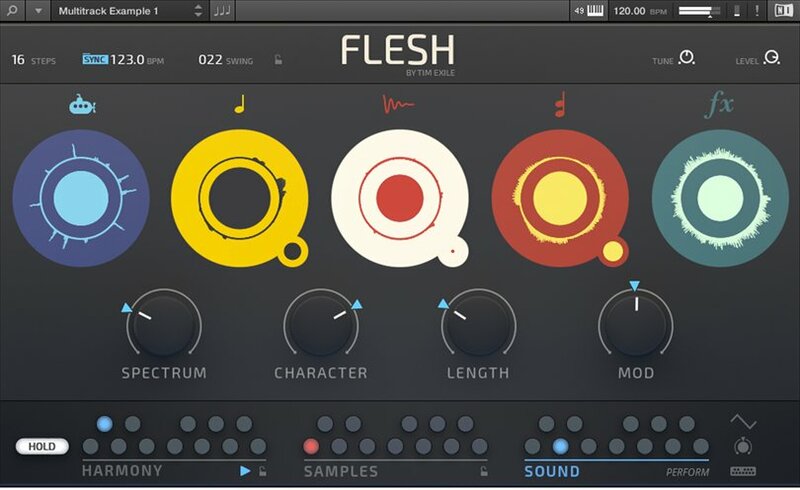 We talk to musician Imogen Heap about her visions for “fair-trade music” enabled via blockchain technology; electronic artist Tim Exile talks us through his latest software, Flesh, which injects an element of chance into electronic music performance, and Peter Doggett give us a whistlestop tour of some of the biggest tech innovations that transformed music over the last 100 years. Apple’s recent foray into digital music streaming points to dramatic shifts in the digital music landscape. This time last year iTunes saw a 13-14% decline in sales revenue while service like Spotify were pushing for growth (even if they aren’t yet making a profit or paying all artists exactly what they think they deserve). Indeed, many commentators are proclaiming music sales to be dead as we shift towards a perpetual access model over ownership. The current state we find ourselves in was predicted 40 years ago and the BBC have a podcast addressing this topic that you may like to stream (naturally). Nearly forty years ago, French polymath Jacques Attali wrote a book called “Noise” which predicted a “crisis of proliferation” for recorded music – in which its value would plummet. As music sales went into freefall at the turn of the century, his prediction seemed eerily resonant to up-and-coming singer/songwriter Sam York. Now struggling to earn a living as a musician, York visits Attali to help get an insight into his own future, learning that music itself may hold clues to what is about to happen in the wider world. Along the way, York meets Al Doyle from Hot Chip and folk singer Frank Turner, who reveal that – despite being relatively well known – they still find it difficult to earn a living from their “stardom”. Doyle says he struggled to afford a one-bedroom flat in London. It’s a world away from the rock-and-roll lifestyle we might think successful musicians enjoy. There’s an interesting radio documentary available to stream over on the BBC presented by Adrian Goldberg which focusses on the different musical tribes in the late 1970s/early 1980s. It explores the politics of British music in the punk/post-punk era. And it was a time when politics played a much more prominent role in popular culture. Neville Staple of Two-Tone group, The Specials, recalls the havoc caused by the far right National Front. “We used to get a lot of conflict at our gigs …we always used to get the NF,” he says. Adrian Goldberg looks back at a culture divided by haircuts, clothes, class and politics. What did this tribalism say about Britain then? The programme includes contributors from Peter Hook of Joy Division and New Order; Peter Hooton from The Farm; Pauline Black of Selecter; Neville Staple of the Specials; Clare Grogan of Altered Images plus music journalists Paul Morley, ex New Musical Express and Garry Bushell of Sounds. It also has a stellar soundtrack from the era. The International Association for the Study of Popular Music has a special issue out this month dealing with ‘music journalism’ which some of you may find interesting. Be sure to check out the article by Barbara Panuzzo dealing with women in hip hop. There’s plenty in the bad catalogue to keep you occupied. It’s a free and open access journal so no nasty pay-walls! There’s a wonderful BBC Radio 4 series called Soul Music where people discuss pieces of music with a powerful emotional impact. This particular episode starts with the famous Harold Melvin and the Blue Notes track ‘Don’t Leave Me This Way’, with Teddy Pendergrass on vocals, and works it’s way through stories of spinal paralysis, the HIV epidemic, and the death of a service dog. This is the quintessential Philly sound. The BBC Radio 4 show Soul Music investigates the emotional resonance of famous pieces of music. This installment, about the song “Don’t Leave Me This Way,” which was first performed in the early 1970s by Harold Melvin and the Blue Notes, with Teddy Pendergrass on vocals, features a trio of interwoven segments about death, loss, and faith. The episode connects the stories of Pendergrass, who was paralyzed in a car accident at age 42; the gay community in the U.K., which danced to a remix version of the tune while mourning the loss of friends during the AIDS crisis; and Sharon Wachsler, homebound by illness, who turned to the song during dark times. The song itself, heard in its different recordings throughout the episode, gains layers of meaning, becoming more haunting and beautiful each time we hear it. There’s some other wonderful instalments. Check out the way in which Billie Holliday’s ‘Strange Fruit‘ acts as the backdrop to stories of horror and anguish during the era of race lynching, or Labi Siffre’s ‘Something Inside So Strong‘ and South Africa’s era of apartheid. The Chevy Chase in question is not the film/TV star – no, it refers to the small town in the state of Maryland, where a very special DJ was born. That man is Peter Rosenberg, a DJ for the hip hop radio station Hot 97, New York (‘Where hip hop lives’). In 2012 he had a very public fall out with a certain Nicki Minaj that called into question the difference between authentic hip hop and commercialised ‘sell out’ hip hop. Over the past 40 years, hip-hop music has gone from underground phenomenon to global commodity. But as The New Yorker’s Andrew Marantz explains, massive commercial success is a tightrope walk for any genre of popular music, and especially one built on authenticity and “realness.” Hip-hop constantly runs the risk of becoming a watered-down imitation of its former self – just, you know, pop music. Andrew introduces us to Peter Rosenberg, a guy who takes this doomsday scenario very seriously. Peter is a DJ at Hot 97, New York City’s iconic hip-hop station, and a vocal booster of what he calls “real” hip-hop. But as a Jewish fellow from suburban Maryland, he’s also the first to admit that he’s an unlikely arbiter for what is and what isn’t hip-hop. With the help of Ali Shaheed Muhammad of A Tribe Called Quest and NPR’s Frannie Kelley, we explore the strange ways that hip-hop deals with that age-old question: are you in or are you out? [[Sound off]]: Love to Love You, Disco. Rob Jewitt on Week 5 task: the legacy of Prog! Adam Wright on Week 5 task: the legacy of Prog! Lewis Pringle on Week 5 task: the legacy of Prog!